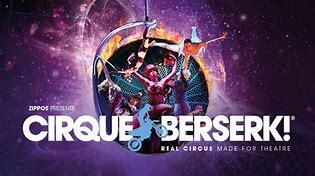 Review: Cirque Berserk (touring) at Nottingham Theatre Royal. – East Midlands Theatre. This Nottingham Theatre Royal crowd certainly go berserkus for the death defying stunts and truly amazing theatrical circus skills performed with tremendous skill and gusto by Cirque Berserk tonight. 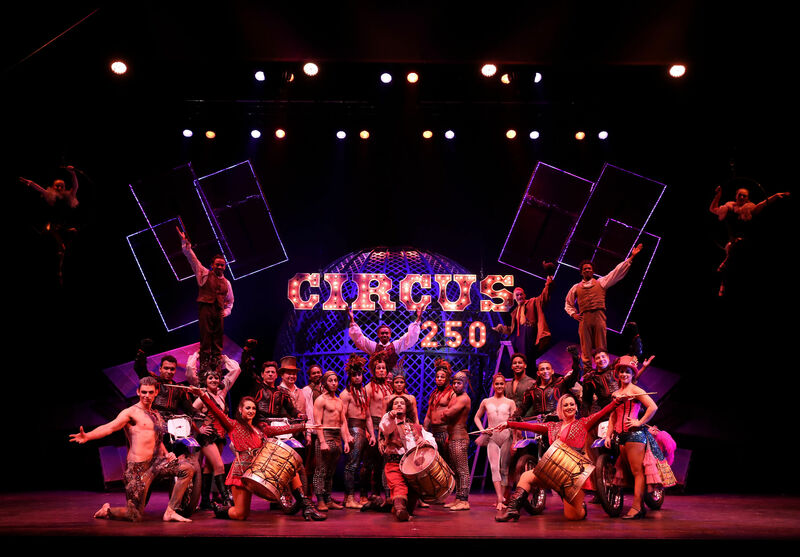 Jaw dropping and gob smackingly good throughout their entire time on stage, Cirque Berserk have the audience clapping in appreciation within seconds of them appearing on the boards. This reviewer regularly went to the likes of Billy Smart’s circus as a child, staring in wide eyed wonder at the trapeze artists, the white faced clowns, the jugglers and acrobats, the ring master and his prancing horses, and even at the elephants and ‘tamed’ lions and tigers. Saturday and Sunday night 1960s television often had an hour of circus as part of the early evening entertainment. As an older person the anarchic, animal free, talents of the French Circus troupe Archaos appealed with the madcap daring going more towards juggling live chain saws. On a personal visit to Russia there was the traditional skills of a time honoured Russian circus in Moscow whose entertainment values went back generations of performers and had a permanent home on the outskirts of the city. Fond memories. The musical Barnum has long been a favourite and most recently the film The Greatest Showman has added to one’s love of the flamboyant in circus skills. And, yes, as a daft teenager this reviewer did momentarily consider running away from home and joining the circus! Cirque Berserk, created by creative director Julius Green and founder Martin Burton, caters for a modern day audience and perform to a thrilling soundtrack that gives the acts an even deeper edge of mystery and other worldliness. Many of the performers hail from different parts of the world; fro Kenya, Cuba, Mongolia, Brazil, Bulgaria, the Czech Republic, France and the UK. Their diverse costumery reflects this and yet. all combined. there is an odd visual unity. There to thrill and genuinely astonish you will be the combined coup de théâtre of the Cirque Berserk circus ensemble including: The Timbuktu Tumblers, Gabriel and Germaine -the Bolas Argentinas, the most flexible lady Mongolian archer you have ever witnessed, the brilliant balancing act of Jose and Gaby from Colombia, and the flick flacking somersaulting Tropicana Troupe. That’s not all folks! Germaine Delbosq from France truly mesmerises with her feet juggling act, juggling a variety of objects including a spinning ring of fire! Jackie the strap acrobat has the audience holding their collective breath as she manipulates her body high above the stage. The crazy Mustache Brothers offer up comedy and slapstick from Brazil and continue regardless as both moustaches threaten to fall off. The little children in the audience adore them. High above the stage Laci Fossett demonstrates his aerial pole act skills to loud applause. Knife throwing Czech Toni hurls axes and knives towards the board narrowly missing his very brave assistant. The Berserk Dancers and Aerial ballet artistes show off their talents and act as links and accompaniment to many of the acts. Zula the Mongolian master of the Tower of Chairs takes our breath away as he builds a twenty foot tower and balances upside down on the last chair. Finally we witness the Globe of Death as the astonishing Lucius Team present their hair raising 60 mile an hour motorbikes that spin and race in a death defying showcase utilising up to four roaring motor bikes and their brave riders at a time! Cirque Berserk cast members at the Festival Theatre in Edinburgh to celebrate the 250th anniversary of the circus being invented. And so without further razzmatazz we very highly recommend a visit to Cirque Berserk at Theatre Royal Nottingham as it runs, jumps, leaps, flies, sizzles and fizzes until Saturday 30th June 2018.